14 year old Naren Kondhia from Kingsbury High School has been selected from 100 applicants to be a National Anti-Bullying Ambassador Youth Board Member. 16 inspirational young people, aged from 9 – 19 from different regions across England, have been selected to sit on the Youth Board. The Youth Board will represent the views of thousands of schools and young people from across the UK, offering advice on anti-bullying policies and practises. The members will also be given the opportunity to help with the planning of this year’s Anti-Bullying week which takes place in November. The Diana Award runs the Anti-Bullying Ambassador’s programme, a nationwide peer led initiative with 2,000 trained ambassadors in over 300 schools across the UK. The Diana Award helps the Ambassadors by holding training events, giving them inspiration, practical ideas and top tips. 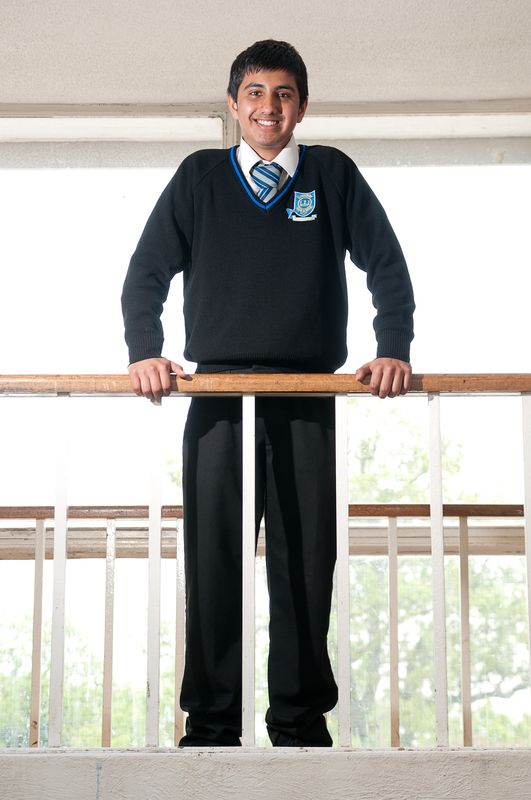 The Anti-Bullying Ambassadors programme will receive no further government funding from April 2013. To ensure the ambassadors programme can continue to be run in schools throughout the UK future funding is needed. 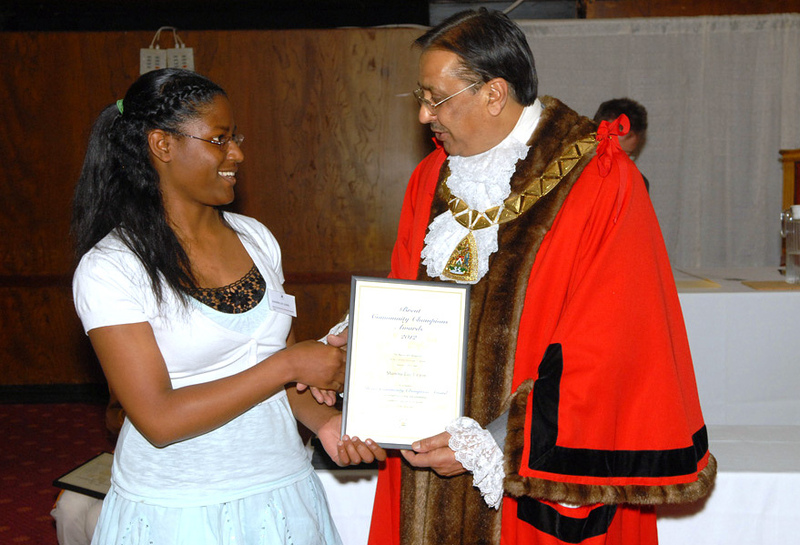 On Wednesday 16th May 2012, Kingsbury High School student, Shawna-Lee was honoured with a Brent Community Champions award at Brent Town Hall. Shawna-Lee, along with 17 other Brent champions, who together have clocked up over 200 years of voluntary service, were commended for their outstanding work on behalf of the community and voluntary groups in the borough. Shawna-Lee, was nominated for the award for her voluntary work at a care home for older people, helping residents to take part in quizzes and board games. She mentors at Kingsbury High School, helping her peers who are underachieving and younger pupils, who get into trouble for their behaviour. She also won £10,000 for the school in an art competition. Outgoing mayor, Councillor Aslam Choudry, presented the awards and said: “It was a privilege for me to hand out these awards as my last duty as Mayor of Brent. 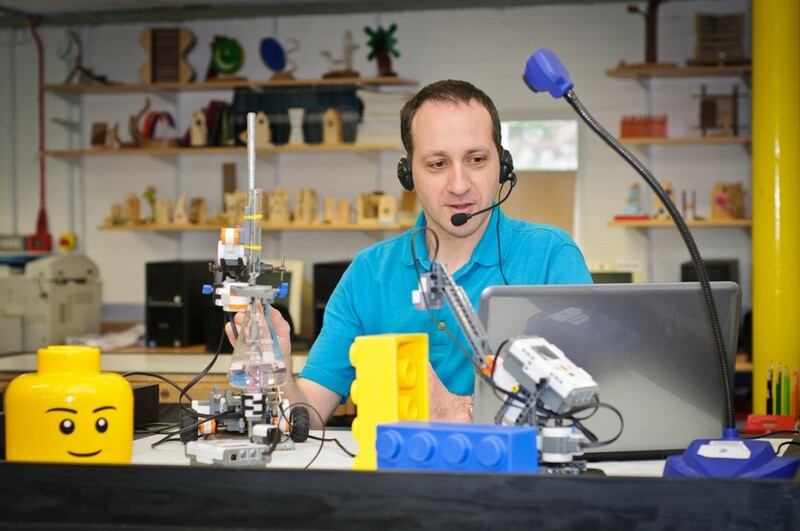 On Tuesday the 15th of May 2012, Kingsbury High School’s Head of Technology and LEGO Education Academy Certified Trainer, Mr Carver hosted a webinar (online demonstration seminar), for LEGO Education Europe, live from Kingsbury High School. In the webinar, Mr Carver showed how LEGO can be used to carry out data logging in Science and Technology. He demonstrated how to use ultrasound to detect objects and how robots can be used to conduct science experiments – all using LEGO! During the webinar, Mr Carver spoke live to teachers and university lecturers from around the world, fielding questions from as far afield as Slovenia and Bangalore, India. To keep up-to-date with the Technology Department at KHS and our LEGO Club view our KHS Technology Blog. On Wednesday 9 May 2012, Kingsbury High School pupils visited the Olympic Park to watch the UK’s best young athletes compete at the Olympic Stadium, race around the Velodrome and swim at the Aquatics Centre as the Olympic Park hosted the final day of the Sainsbury’s 2012 School Games. 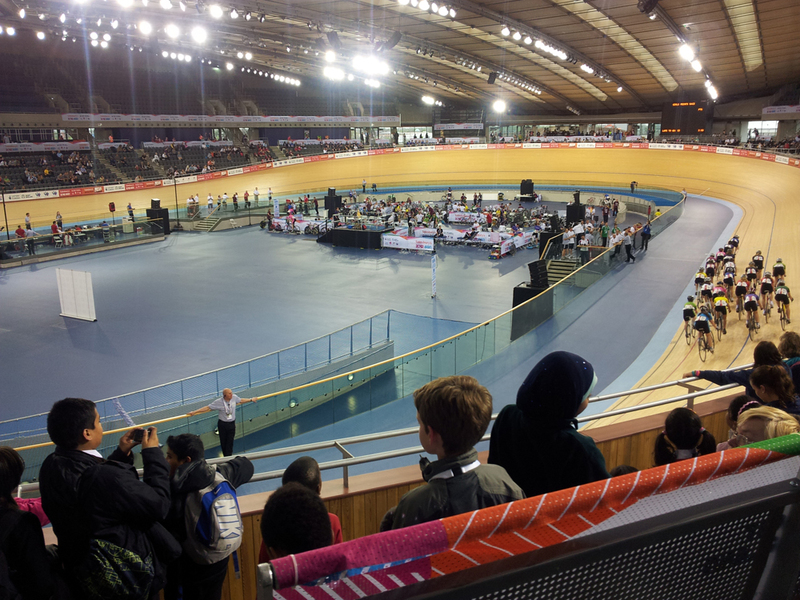 Sainsbury’s 2012 School Games is a multi-sport event for 1,600 elite young athletes. During this three day event, competition took place in badminton, fencing, gymnastics, hockey, judo, road cycling, rugby 7s, table tennis, volleyball and wheelchair basketball in London venues. 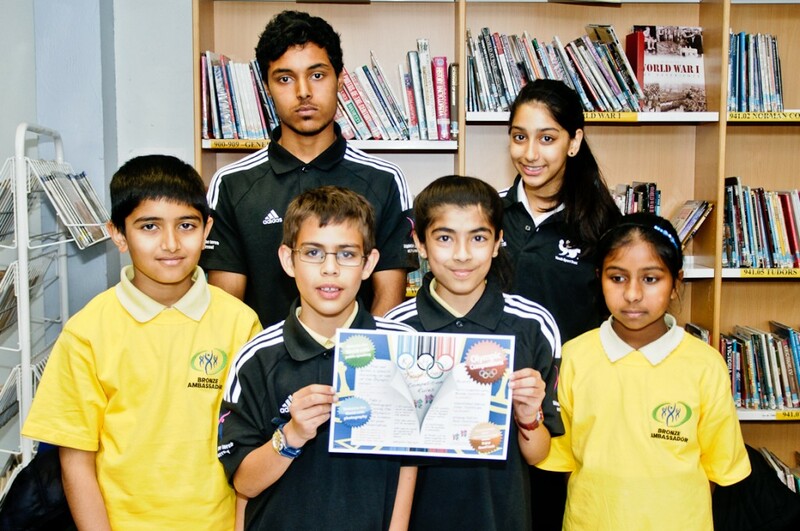 On Wednesday 02 May 2012, Year 10 ‘adiStar’ Young Ambassador students, Alisha Dhillon and Samad Rizvi, organised a workshop to upskill a new tier of ‘Bronze Ambassadors’ students from primary schools. The role of a Young Ambassador involves increasing participation in school sport and PE, promoting active and healthy lifestyles and spreading the word of the Olympic and Paralympic values of, Personal excellence, Respect, Friendship, Inspiration, Determination, Courage and Equality. Students from Kingsbury Green Primary School, Roe Green Junior School and Oliver Goldsmith Primary School attended the workshop. The students will be holding assemblies and competitions in their schools to help inspire others to take part.